An ultra-lightweight top for active days, the Amplify Short Sleeve Low Crewe is a great option for wherever the warm weather takes you, from hiking to yoga class or a lunchtime run. 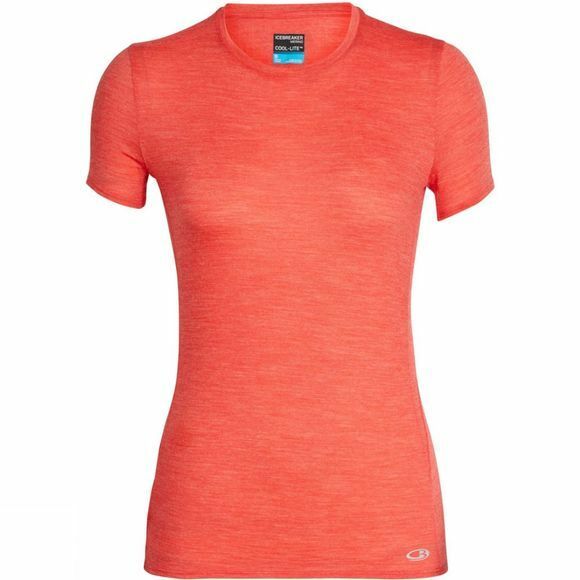 Made from Cool-Lite fabric, it’s a silky-soft blend of merino and natural Tencel to keep you feeling cool, dry and fresh for longer. It also features corespun technology, where the fibers are wrapped around nylon for extra durability, strength and next-to-skin softness. This tee is designed with set-in sleeves for comfort and fit, and a drop-tail hem for added coverage. The eyelet mesh back helps you feel light and breezy when the temperature rises.